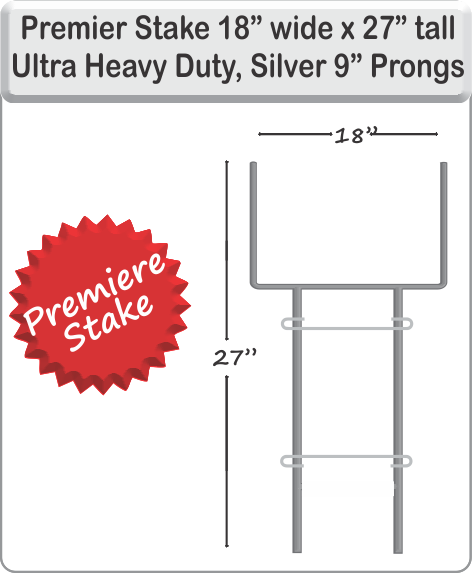 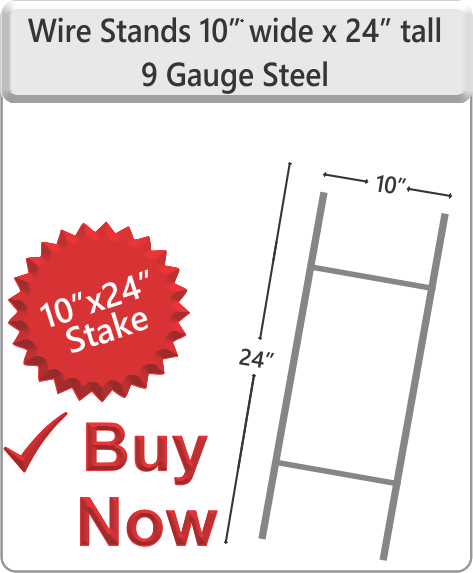 Stakes or wire stands are constructed in gauge steel or a strong plastic with two lap welded cross bars, fits most comonly coroplast yard signs sizes. 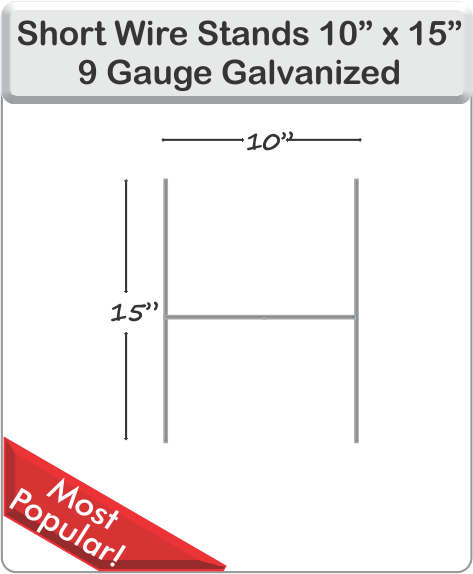 Insert directly into the signs from the bottom. 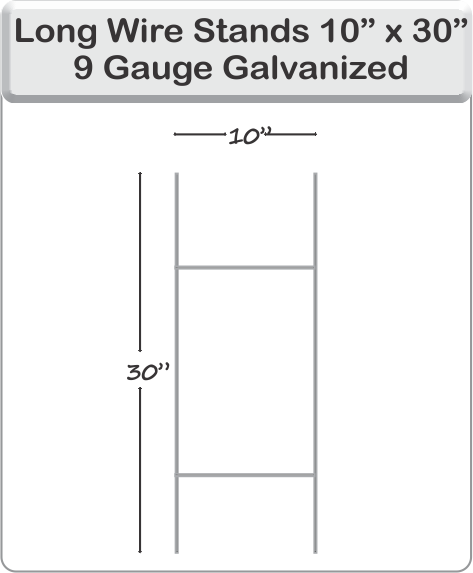 Use 1 stand per yard sign size 24" x 9, 18" x 12", 24" x 18" and 36" x 24". 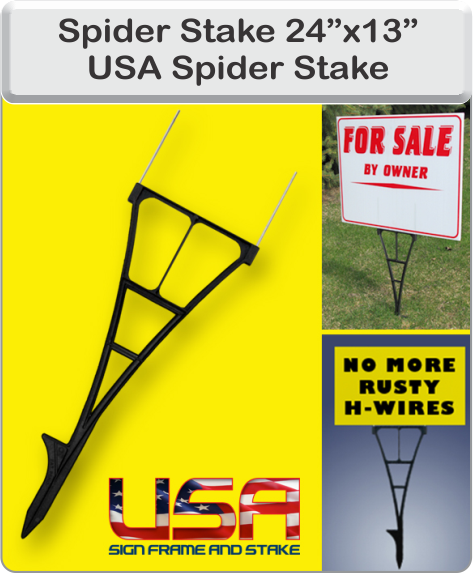 On bigger yard signs we recommend to use 2 wire stands for best holding.